Just as websites are an integral part of businesses these days, videos also play the same role for many successful websites today. Digital marketing is not just about having creative and engaging web design. It also includes high quality visual content such as images, videos, infographics, presentations, screenshots, and even memes. And among these different types of visual content, videos are considered the most effective in terms of conversion rates (86% increase) and getting inbound links (300% more according to MOZ). But I have a video on my website and it doesn’t convert that much. Why? Well, perhaps the video does not really show the true asset of your brand. You might be using an animated video as a welcome message when, in fact, a video of real people using your product should have been a more suitable choice. Let’s discuss common types of videos here. And I’m going to show you some examples of how to use them to supercharge brand engagement. A talking head video is the most basic form of videos. Simply point the camera to the interviewee’s head and shoulders, and shoot. Talking head video topics may include About Me, a direct appeal, or a first impression video that you can use on your homepage as a welcome message. A talking head video is also a good supporting visual that you can integrate into story-based videos. Since it usually involve just a person talking, it may become boring at some point. Therefore, you have to make it short and easy to understand. Incorporate certain techniques to make it interesting. Use props and other tools like whiteboards, text and images, subtitles. Other pro tips for effective talking head marketing video strategies include the use of proper format and super editing. Does your business offer long-term services that require frequent communication? Then you must develop powerful corporate videos that show your prospective clients and partners everything they need to know about your company. Sometimes, what they’re just looking for before converting is a detailed background of your company, your processes, your people, and overall professional management. In your corporate video, make sure to present someone with whom your audience can connect. When you are able to make this personal connection with your visitors, they will feel more comfortable contacting you and tend to be more willing to respond. Also Read- How to Get Unique Content for Your Site Without Writing it Yourself? With an informational video on your site, you will be able to make great first impressions with new visitors, at the same time building trust with your existing customers. No matter how well you talk about your brand on your website, your audience will greatly value what previous customers say. For this reason, it is very essential to include a video of your customers sharing their story about their actual experience with your business. By letting your customers explain to your audience how your brand improved their lives or increased their leads or saved them money, you are creating a personalized experience which is ideally what branding should be all about. If you want to show your audience your brand’s ability to deliver results, then a before and after video is the most appropriate type. Products or services with videos of proven results get more interested buyers or customers. For one, they feel confident about your brand. Second, they are able to see examples of your past results, what exactly your product does and how it can be beneficial for them. You can place several before and after video clips for each of your products or services on your product or sales page. Perhaps include one video of your core product in the home page as well to serve as the focal point of your website. How to videos are not just helpful to your existing client. They are also beneficial to visitors who are thinking about buying your product. If your business offers machinery or software or anything that is complicated to set up or use, then provide product demonstration videos. It reduces confusion among those who have already bought your product because watching a video is so much easier to comprehend than reading through a manual. With your product in action, you will have an opportunity to showcase the essential features of your product or service and therefore convince hesitant visitors to make their purchase and eliminate their apprehension. Another video you can use is an instructional video which clearly displays your product’s specific functionality. Make your clients experts in using your product. Provide them clear instructions on how to use its complicated features. The more pleasant experience your client has with your product, the more likely they will recommend it to others. A video tips series, on the other hand, is great for building online presence. It is also very helpful in building credibility and establishing you as an expert in your niche. In the digital realm, it is integral to give your brand the competitive difference. Your audience is constantly looking for something brilliant, modern, and unique. You can accomplish this with animated promotional video production. 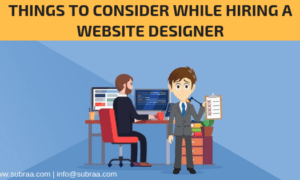 You may opt to create your own cartoon through video creation sites or simply outsource, particularly when you want higher-end motion graphics. 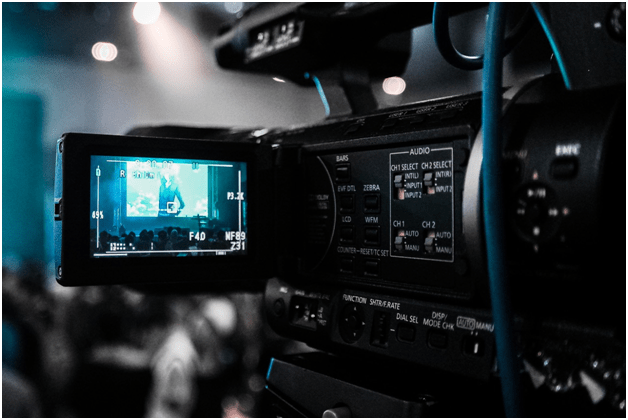 While videos greatly enhance your business in terms of customer interaction, SEO friendliness, and information output, certain types of videos work more efficiently on certain kinds of objectives you want to achieve for your product or service offerings. For this, you have to choose and integrate the type of video that works very well for your brand. With a BSc (Honors) in Psychology, Philip Mazloumian understands that creativity heavily depends on human insight, and as such, his knowledge forms an invaluable part of what React Digital does.